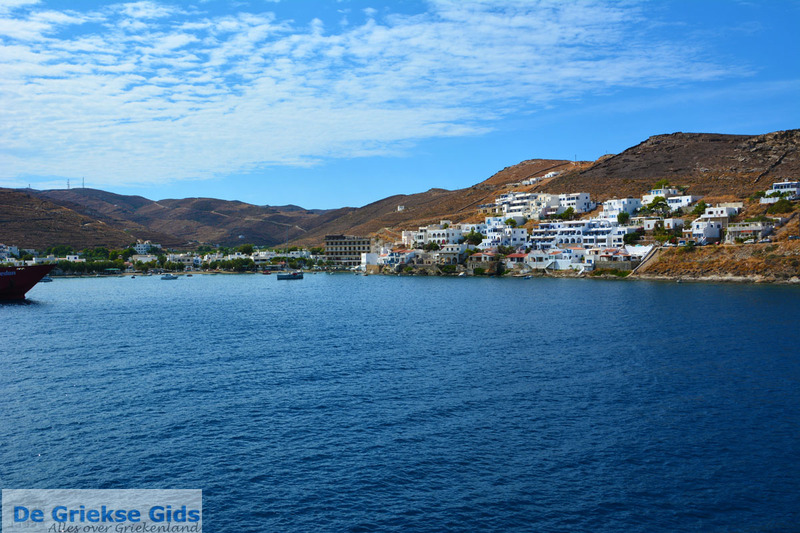 Kythnos. 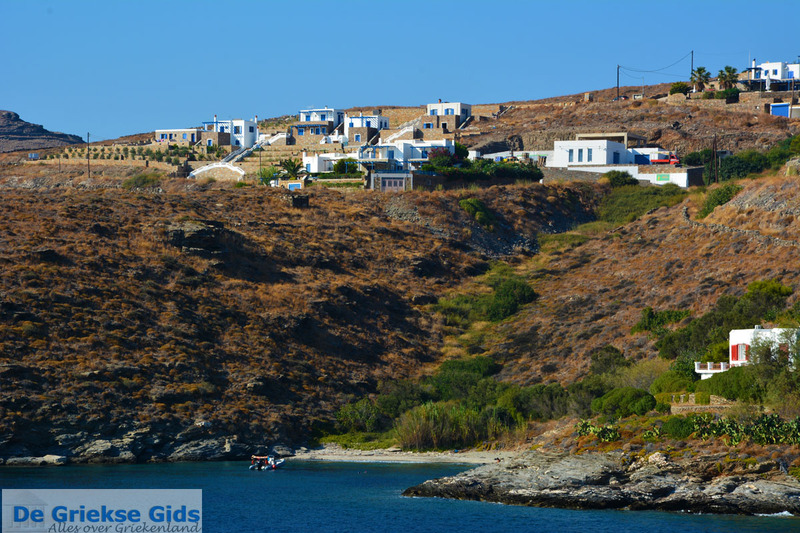 Kythnos (Kithnos) is, like most Cycladic islands, a barren mountainous island with picturesque small bays. 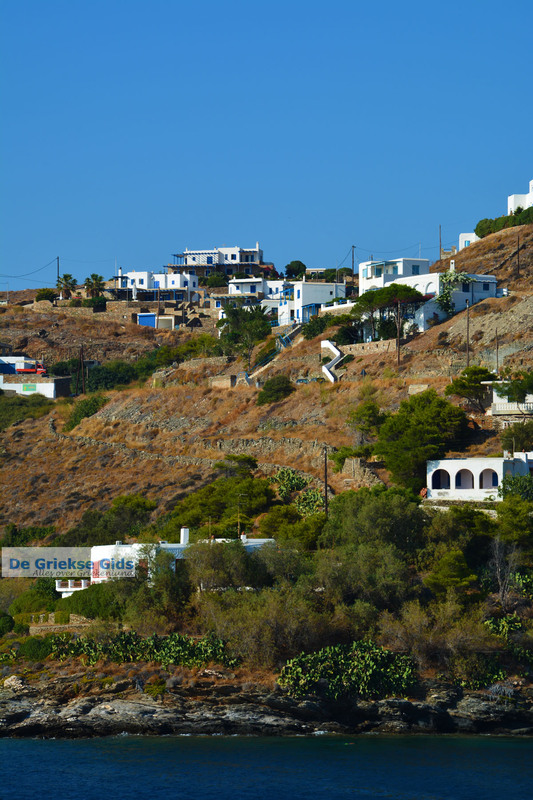 Although the island is bare, inhabitants grow olives, grapes and fig trees. 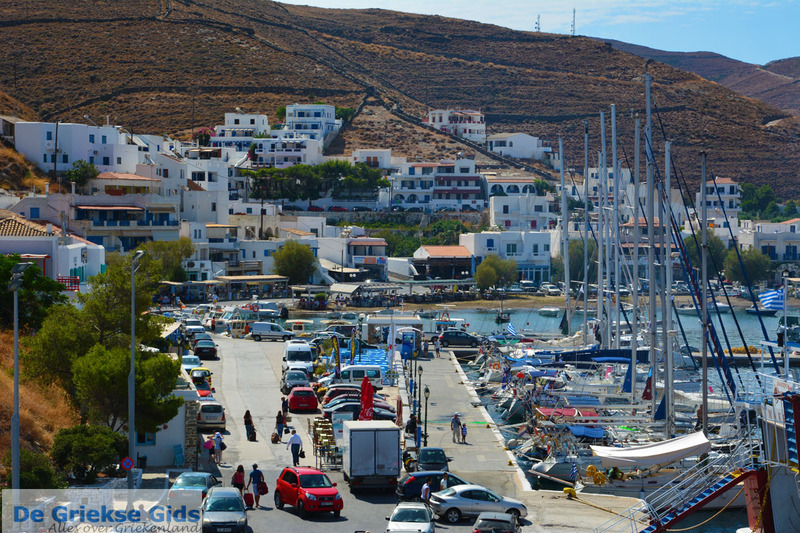 The harbor town of Kythnos is Mericha (Merihas), the port on the western side of the island. The capital is called Chora or Mesaria. 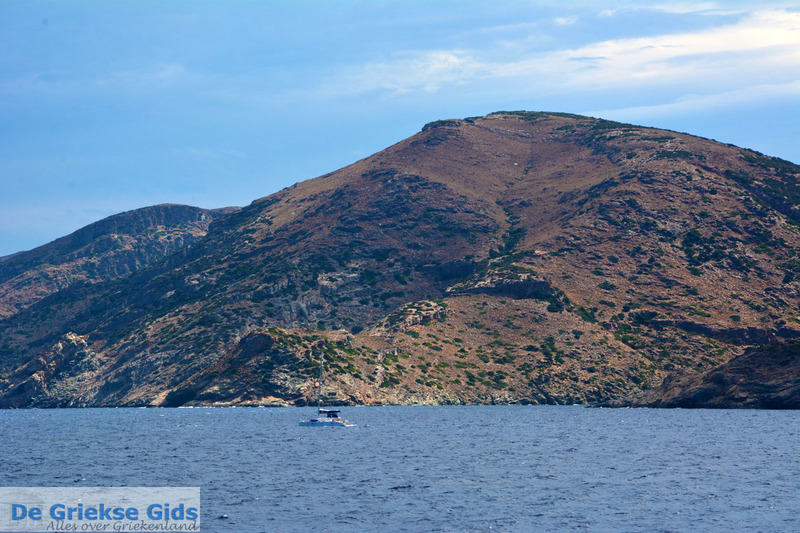 Mesaria is built near the center of the island on the plateau of a hill. Particularly striking are the numerous beautiful churches with their fine woodcarvings, sanctuary screens and icons. Every year on August 15th a public feast is held – the feast of the Dormition of the Virgin Mary. Worth mentioning are the church of Aghios Savvas from the 17th century, the cave of Katafiki, and the monastery of Our Lady “Tou Nikou,” that lies on a beautiful hill. 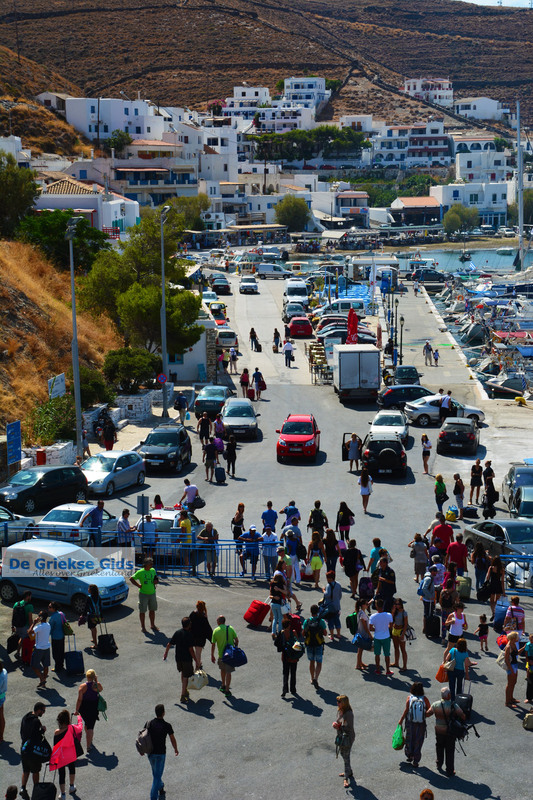 The picturesque village Driopida is the island's former capital, which retains its ancient name. 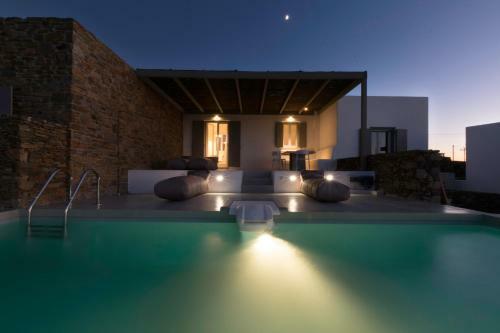 Loutra is known for its thermal springs which are considered medicinal to people who suffer from arthritis and skin diseases. 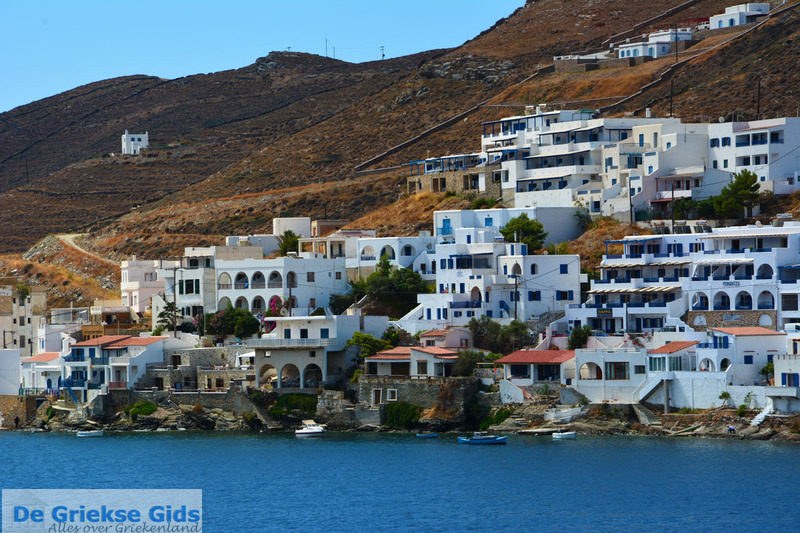 The southeastern part of the island and the monastery of Panagia Kanala, the patron saint of the island, are beautiful. 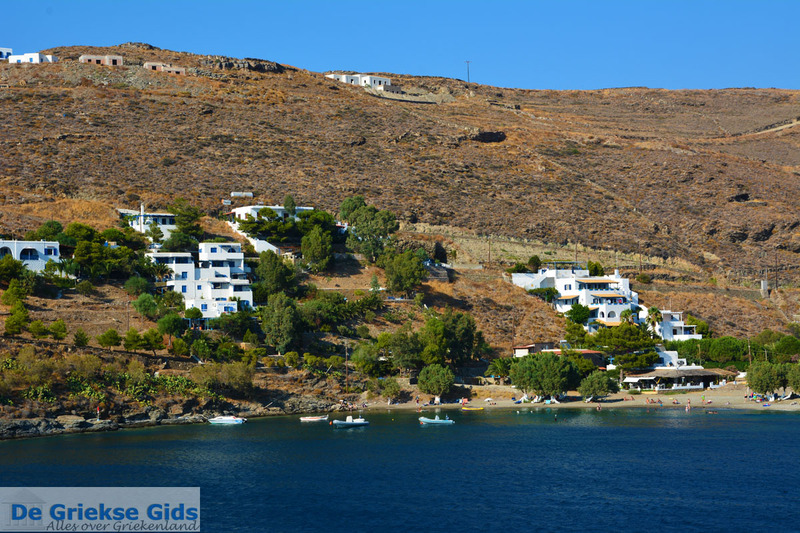 This monastery was built on the cape opposite Serifos with a beautiful expanse of sandy beach. 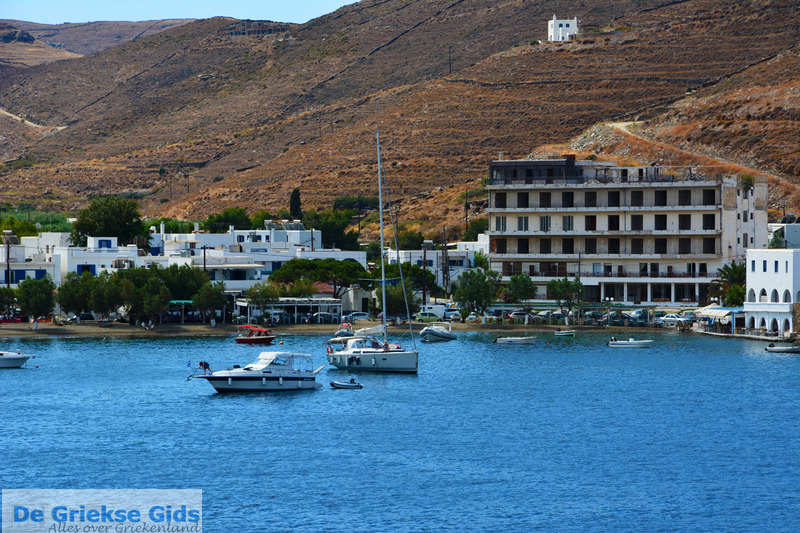 The building is of great interest and the scenery reminds one of a fjord in Greek colors. Chora is the capital, which has beautiful alleys with fine ornamentation. The churches from the 17th and 18th centuries with beautiful icons from the famous Cretan School are definitely worth a visit. 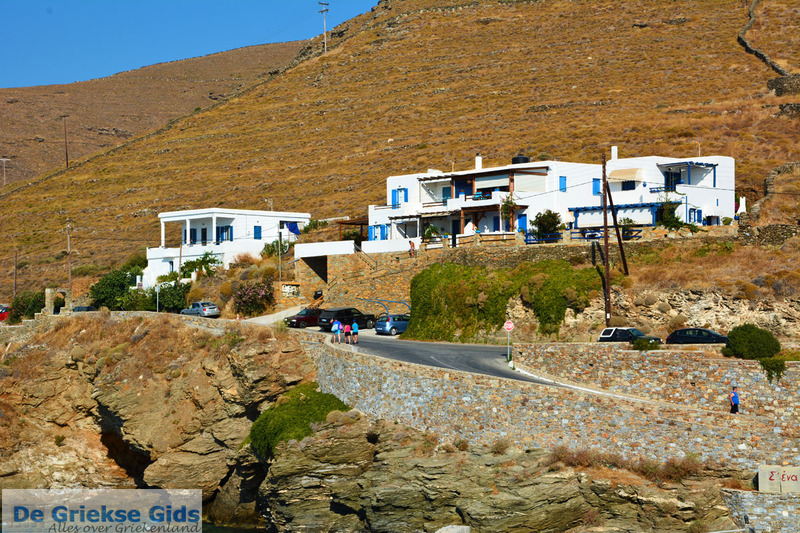 Loutra is a picturesque seaside village. 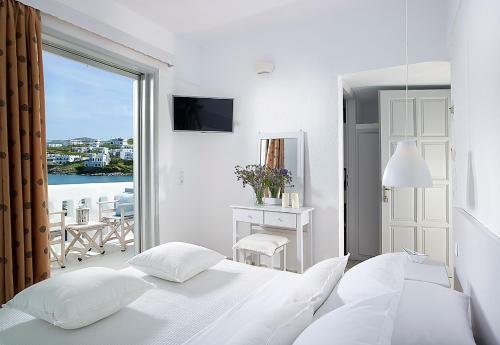 Medicinal sources managed by Greek tourist board hotel "Xenia." The Panagia Kanala church, 16 kilometers (10 mi) southeast of Chora. 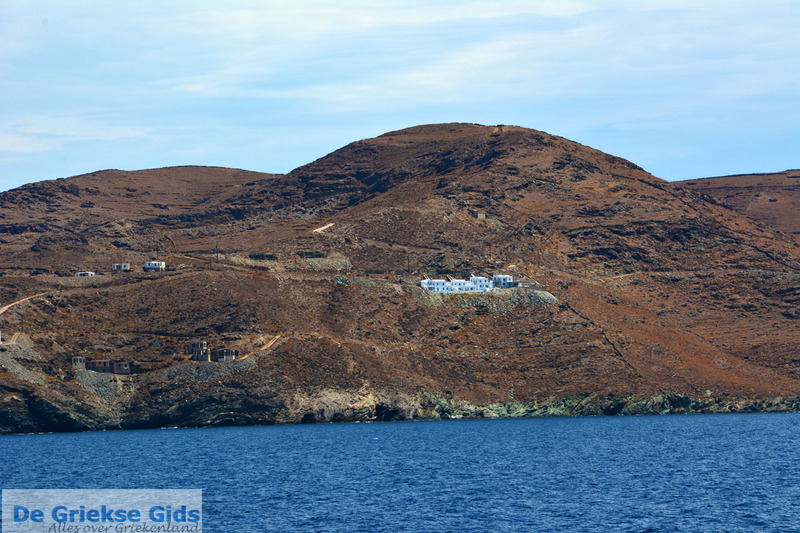 Panagia Kanala (Holy mother Kanala) is the protector of Kithnos. -The Three Units, a festival of folklore dance, food and drink which is held in early July. 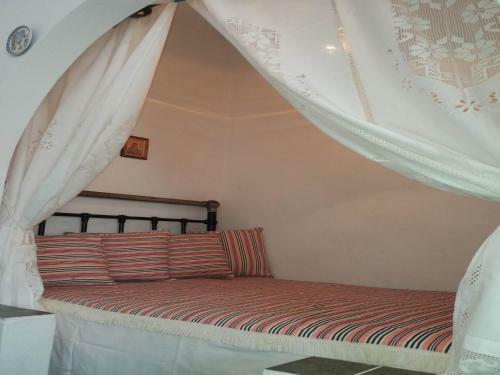 -The Celebration of Prophet Elias is celebrated until dawn on the mountain. 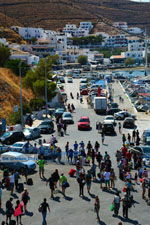 -On August 15th, a two-day feast celebrated in honor of the Assumption. 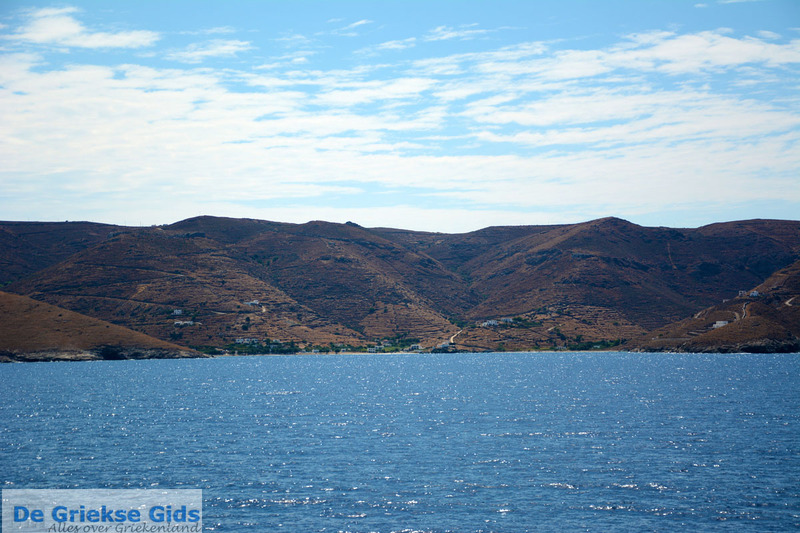 Merihas, Loutra, Episkopi, Flambouria bay (accessible only by boat), and Aghios Stefanos. 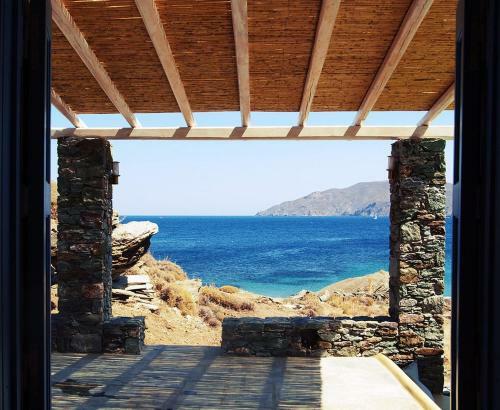 There is no airport on Kythnos. 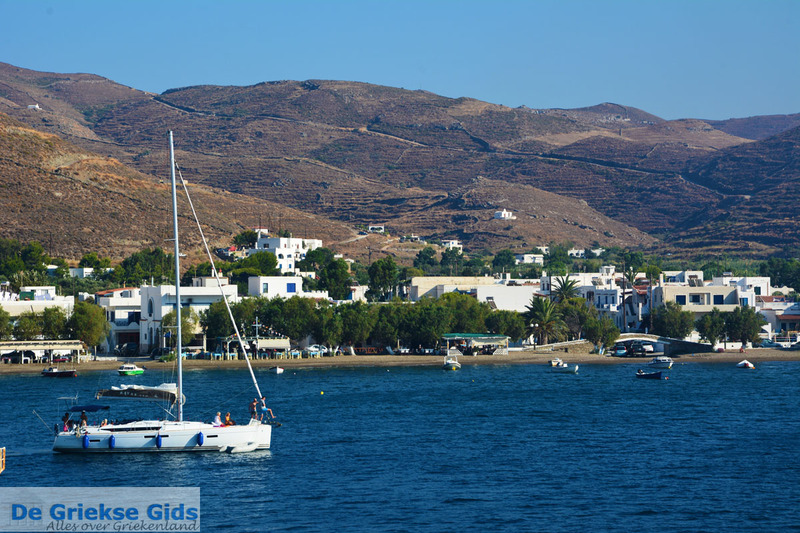 The best way to come is fly to Athens then take the boat from the port of Lavrio (near Athens airport). 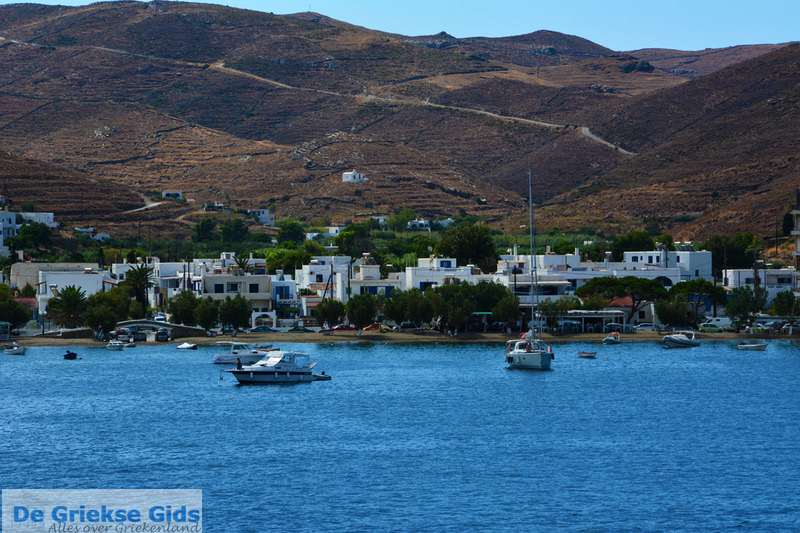 There is also a regular connection to other Cyclades islands and other ports like Andros, Kea, Syros and Tinos. 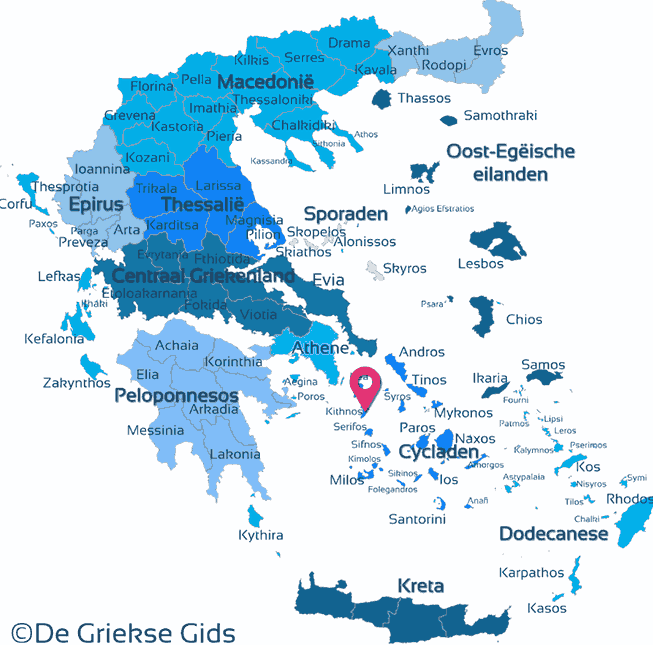 Kythnos: Where on the map is Kythnos located?